The airlines of the Lufthansa Group – Austrian Airlines, Brussels Airlines, Lufthansa and SWISS – have reached a major milestone in their endeavors to modernize their present product structures. A number of collaborations with various partners in the airline distribution segment have been successfully pursued over the last few weeks. As planned, the airlines of the Lufthansa Group are now taking a further major step in implementing their new commercial strategy by ensuring that from tomorrow (1 September), the costs of bookings made via global distribution systems (GDSs) are met more fairly and transparently by the users involved. To this end, a new “distribution cost charge” (DCC) of EUR 16 will now be applied to any ticket issued via GDS. 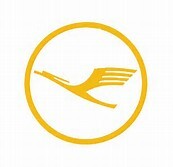 Customers of the Lufthansa Group can obtain their tickets without having to pay the new DCC by making their bookings via the member airlines’ websites, via an airline service center or at an airport ticket desk. Travel agents may also use the dedicated www.LHGroup-agent.com online portal as a booking alternative. Corporate customers can continue to make their bookings at their individually-agreed contractual rates (i.e. with no DCC) via www.LH.com. Lufthansa has also concluded a new agreement with technology provider Concur, an SAP company, under which Concur will provide the Lufthansa Group’s corporate customer travel management units with special programs for managing these www.LH.com bookings from next year onwards. The airlines of the Lufthansa Group have been particularly active devising solutions together with key technology partners that will enable them to develop and offer new “direct connect” booking channels. Parallel to this, the airlines are working on providing booking platforms for key-account corporate clients which will give them and their corporate travel agencies direct access to the air travel products of the Lufthansa Group.